Learning to fly a plane will remain one of the most exciting, yet stressful, lessons of my life. I distinctly recall being told I had to learn to fly the “hard way” (aka: without any technology to help me make better decisions). I distinctly recall the nerves while flying through the clouds. I couldn’t see a foot outside the windscreen all the while trying to find the runway with the ground just hundreds of feet below me. Although challenging, it was amazing what I was able to achieve in the cockpit with only steam gauges and a paper chart on my lap. It was once I begun introducing technology into my flights that I began to realize how much more I could do while increasing my own personal safety and that of those in the same airspace. Technology has played a number of pivotal roles in the advancement of manned aviation. Most see the technological shift that iPads brought to the cockpit. Pilots are reaping the benefits of the iPad that range from improved flight planning to situational awareness while in the air. iPads have arguably changed how aircraft are flown. But iPads are just the most recent example of how technology dynamically shifted how we fly. We’ve seen similar shifts throughout history as new technology was introduced. For example, radar and better instrumentation in the cockpit has allowed pilots to do more while introducing higher measures of safety. 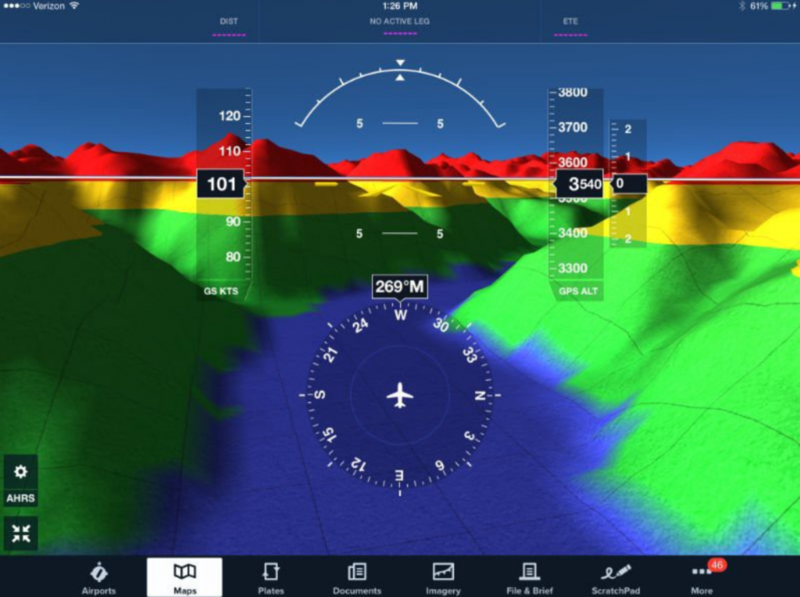 The same could be said for synthetic vision like the example below from ForeFlight, which helps pilots avoid collisions with terrain. We are seeing another dynamic shift happening today with the introduction of drones. Now that the commercial industry has set new regulation, there is an immediate need for new and innovative technologies. This is to ensure the safety of the drone and the environment around it to enable operations such as flying beyond line of sight and enabling package delivery. LATAS is one such technology that is being introduced to the market to increase the safety of drone operations through innovative data, and mapping technologies. Like modern aircraft avionics, LATAS provides critical information about the airspace and ground around the drone. 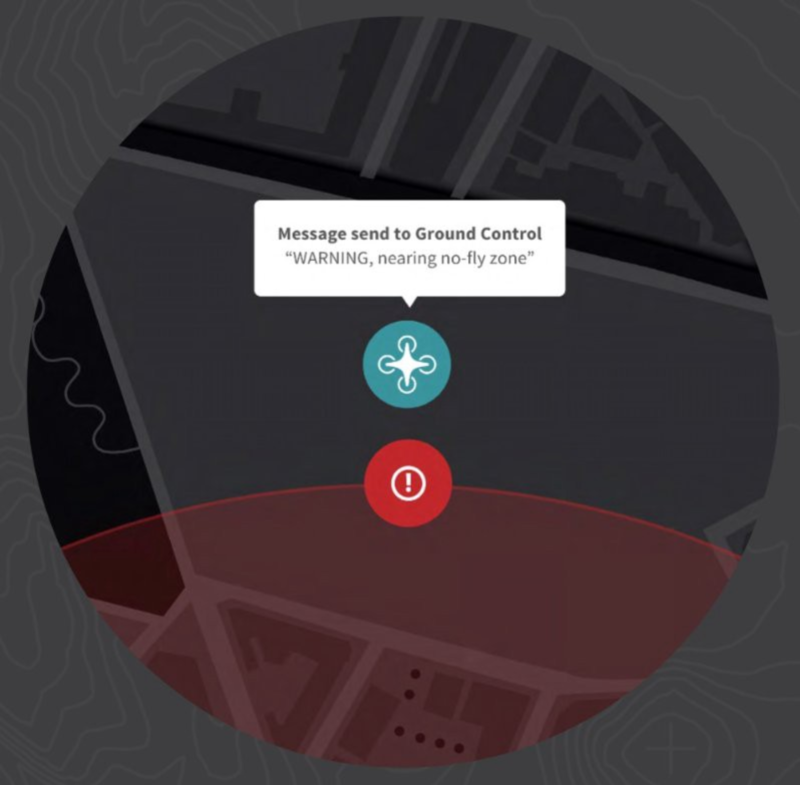 This information can be displayed to the drone operator and in some cases, directly fed to the autopilot telling the drone about its surroundings. In order to operate safely, both drones/drone operators and pilots need to understand the bounds of the airspace and where other aircraft are around them. LATAS provides a live feed of manned aircraft around the drone. This data is sourced directly from the existing manned air traffic control system. This means that the drone sees each manned aircraft that an air traffic controller sees without any delay. Along with tracking manned aircraft, we must know where drones are, in real-time, as they share the airspace. A drone’s position is anonymized and transmitted to LATAS over cellular, satellite, or novel new networks depending on the location. 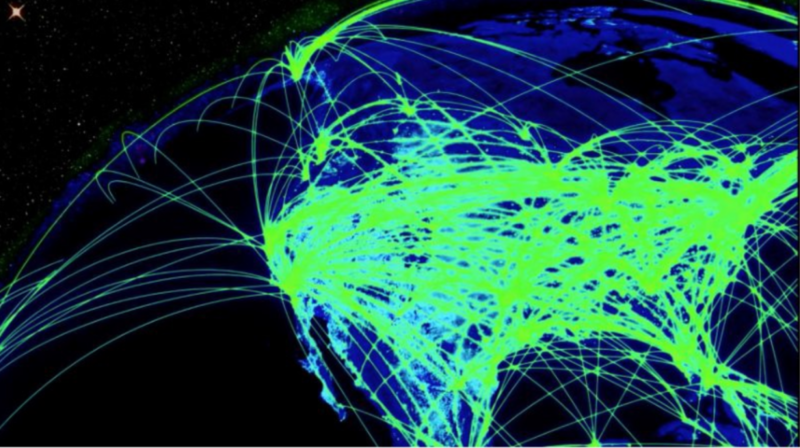 Manned air traffic data and airspace maps are provided through LATAS on a near global basis. Similar to the importance of avoiding restricted airspace and manned aircraft is avoiding objects on the ground. This is especially important when flying at low altitudes for conducting surveys and, one day, package deliveries. LATAS solves this through a proprietary high-resolution 3D map of the globe that includes every building and tree. To achieve this, we are taking over 70 petabytes of satellite imagery and processing the data into a map that can be easily used by drones to avoid those obstacles. *I will dive into the details in a later post on how we are able to develop this map. Today the use of LATAS data significantly reduces risk while flying drones within line of sight. However, just as we’ve seen with new technologies in manned aviation, the real value of data provided by systems like LATAS is unlocking the potential for drones to do more. For any technology to play such an enabling role in aviation, the system must meet certain criteria. First and foremost, the dataset must be accurate and reliable, which is achieved by understanding and having control over the entire technology stack. 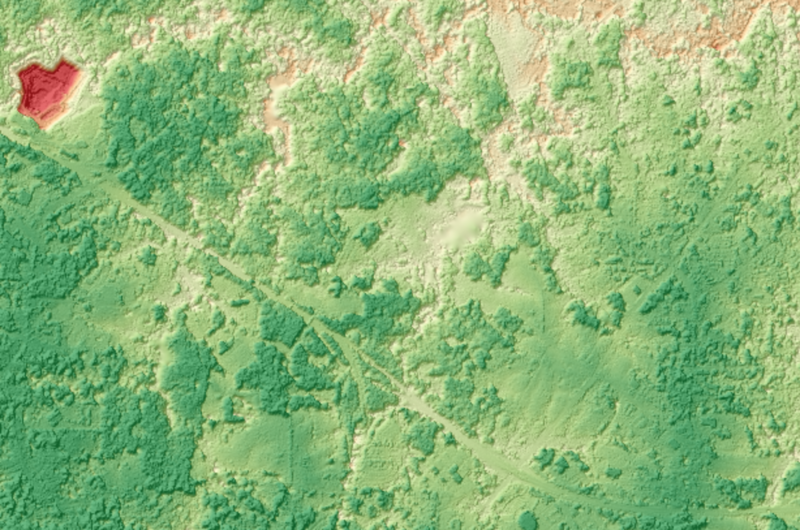 Just like current aviation charts, the data must be consistent across large areas and updated on a regular basis. This high level of fidelity cannot be achieved when relying on systems based on open source datasets. Beyond the technical requirements on the data and technology, such systems must interface and connect back to the existing manned air traffic system. If we cannot communicate with and pass data to those whom we share the airspace with, then we will never be able to truly integrate drones into the airspace. How are we trying to solve these challenges? This begins with running tests and collecting data on LATAS performance alongside EVLOS and BVLOS flights. These tests are being conducted under the FAA Pathfinder program to build a safety case for the technology and applications it enables. Our goal is to show how technology can meet the standard and provide equivalent levels of safety as the market for drone technology expands. It is once we can prove that using LATAS will increase safety while flying beyond line of sight that we can begin using these types of technologies as enablers for advanced operations. With Part 107 taking effect in coming weeks, the FAA has announced that they will allow waivers for beyond line of sight flights. LATAS could be an enabling factor in attaining such a waiver. Leading up to Part 107 going into effect I will be covering a number of technical and practical topics on safety technology in drones. Keep an eye out for the next blog in this series!